Here’s your fun fact of the day – I carry a little sample-sized bottle of the Summer Shine Body Lotion with me at all times. 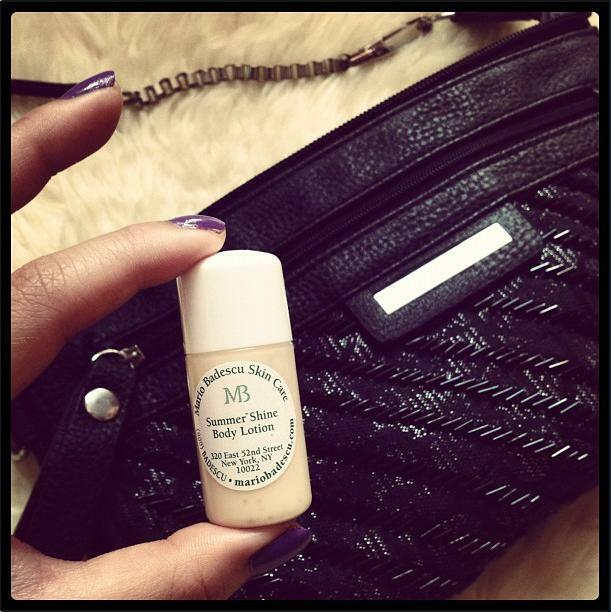 Feel free to check my handbag at any time if you’re so inclined and just see for yourself this summer body lotion. I told you - we love Instagram, didn't you know? It’s like a genie in a bottle, only better. Hydration, shimmer and glow all wrapped up in a delicious, coconut-y scent: could a genie give you that? Probably, but your three wishes would be used up and your genie would be useless at that point. Antique lamp, or Summer Shine Body Lotion? Take your pick. I choose the latter, and not because I mostly don’t believe in magic (my Aladdin-on-replay and Christina Aguilera’s infamous single-on-repeat days are long gone…). If I’ve forgotten to spritz myself with perfume, I have the option of smelling all sorts of summery and tropical. I have access to summer-fying myself whenever. At the height of summer, or in the midst of winter. Glowing legs, highlighted collarbones, shimmering shoulders, you name it, you have it. (Instant gratification can sometimes be a beautiful thing; but when it comes to skincare, patience is a virtue that will be rewarded!) From day to night, from the office to the beach, it becomes that easy to add a bit of oomph. What I love most about it, though, is that it’s the perfect intersection of beauty and skincare, proof that both worlds aren’t so exclusive, and that you need one in order to have the other. Skincare lends itself to more beautiful makeup, and beautiful makeup pushes you to want to invest more in skincare. Call it the circle of life if you will, but two Disney references in one post alone isn’t exactly helping with my desire to come across as older (and therefore wiser). What’s not to love about this summer body lotion? If you had a genie (completely hypothetical, here), what would your three wishes be? P.S. : We’re addicted to Tumblr – follow us for more beauty & skincare inspiration! 3- I’m going to save this one for later. . .